Once you decide it’s time to do an edit, then here’s what I see as YOUR benefits! Your home will be worth more and if you’re thinking of selling, less clutter will definitely raise the value. That’s a huge bonus! 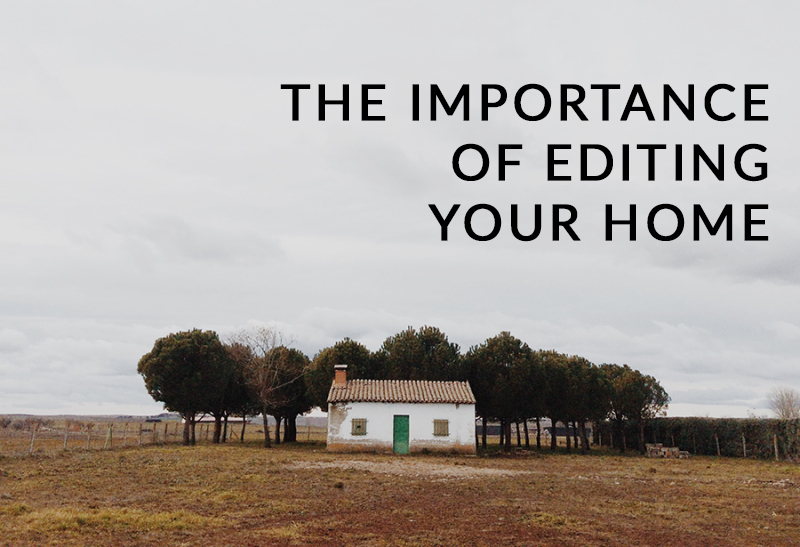 If you’re not thinking of moving though, just imagine that every time you edit what is in and around your house you’re actually adding value to it. What a great motivation! If you’ve got a spare hour today, why not start writing a list of the spaces you could edit over the weekend? Doing this exactly at the moment. While packing up a house to move is no fun at all, it is a great chance to declutter. And this has made me realise how much i have held onto meaningless crap!! Great article Katrina. I am getting better at decluttering but still need some help. I just love pretty things so will follow the rule of 1 new in , 1 old out. So very true….a post that hits home with me. Progress not perfection and decluttering I will go! I come from a family of hoarders and have never wanted to be like them (no disrespect intended), so tend to get a little carried away with not keeping ‘stuff’ around. If something doesn’t spark joy, then out it goes. As soon as a bill is received in the post, it gets scanned and securely stored to an external hard drive, the paper copy shredded. Magazines get binned as soon as they’ve been read (with the exception of glossy architecture and interiors titles [there’s a cool thing in the US that you can sign up to, to receive all your magazines via email! I wish it would come to this part of the world]; and we definitely do not do knick knacks. I spent some time visiting one of my hoarder relatives recently and I just felt so unwell … the smell of newspaper, ‘stuff’ in general … it was just awful. There wasn’t even a clear space on the table to put our teacup. It really is something that can spiral out of control quickly (I’ve offered to help but have been turned down). I came home with a cloudy head and felt really grumpy … honestly, nothing can compare to a lovely clean, ‘edited’ space. learned as depicted within the literature review and what I actually learned. a good and appropriate essay. First, it is because of the tedious work of research and subsequent writing.